The State of Games is a board game podcast with a little something different. Sure, they talk about games they've played and games you should play, but they also chat about game design, industry ins and outs, and offbeat gaming topics like race, gender, violence, and naked people. The State of Games is hosted by Chris Kirkman, founder of Dice Hate Me Games, and features regular co-hosts Darrell Louder, resident grump and designer of Compounded, Bottom of the 9th, and Fate of the Elder Gods, and TC Petty III, gaming hipster and designer of VivaJava and VivaJava Dice, Xenon Profiteer, and Spires. The State of Games is part of Dice Hate Me Media, which includes the Dice Hate Me game evangelism and review blog, the DHM YouTube Channel, and the upcoming Meat The Meeples video series hosted by Darrell Louder that combines BBQ and board games! Check out the 8th Annual Dice Hate Me Holiday Gift Guide! Chris, TC, and Darrell talk about modern classics that are just plain played out, plus tons of games including some hotness from Essen Spiel! Chris, Darrell, and TC dissect some words of wisdom about consumerism and game design from prolific designer Dr. Reiner Knizia. Chris, Darrell, and TC take a look at those special games that we play between all the big ones - fillers! Chris, TC, and guest Matt Riddle discuss the mathematical analysis of Game Theory and how it applies to modern game design and play. Chris, Darrell, and TC recount the action, excitement, games, and spectacle from North America's largest gaming convention, Gen Con! 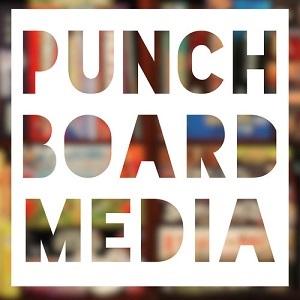 Chris, Darrell, and TC break down the listeners' top five games of all time, share their own lists, and answer some questions from the mailbag. Chris is joined by Dan Patriss, Daniel Solis, Matt Wolfe, and Andrew Roberts in a battle for galactic supremacy in Twilight Imperium: Fourth Edition! Chris, Darrell, and TC debate aesthetics and how some companies create the perfect package that reflect the experience inside the box… and how some definitely do not. Chris, Darrell, and TC are joined by special guest Seth Jaffee of Tasty Minstrel Games to talk reprints, rebrands, & special editions, and what sort of effect they have on the hobby market. Join Chris "Dice Hate Me" Kirkman for a full four-player playthrough of the new Fireball Island: Curse of Vul-Kar, fully restored from it's 80s glory by Restoration Games! Chris, TC, and Darrell just keep it simple this episode and talk about some games they've been playing and their gaming habits. Chris, Darrell, and TC share adventures, logistical snafus, and Magic Moments™ from the 8th annual Unpublished Games Festival in Hunt Valley, Maryland. Chris, Darrell, and TC share experiences from attending PrezCon and then talk straight about what makes cons great and what they hate. Chris, Darrell, and TC debate whether board game expansions are necessary, which have gone overboard, and which are essential. Chris, Darrell, and TC take a look at those special games that play in about an hour and hit a magical sweet spot. Chris, Darrell, and TC look back on the year that was and share their awards for favorite games of 2017. Chris, TC, and Darrell discuss a bevy of games played at the annual Dice Hate Me holiday get-together; Chris analyzes three Stefan Feld titles. Nothing gets Chris Kirkman more in the holiday spirit than sharing some great games with all of you that you can share with everyone else! Chris, Darrell, TC, and Lesley share favorite moments from PAX Unplugged! Chris, TC, and Darrell discuss how game value is assessed from a consumer and publisher perspective and how that can affect retail, online, and Kickstarter sales. Chris, TC, and special guest Keith Ferguson (designer of Santa's Workshop) share their ideas for the best spooky, creepy, or macabre retheme for totally mundane games. Chris, TC, and Darrell resume their biyearly talk about Essen Spiel, including trip tips and most anticipated releases! Jack is back! In this video, Lillian and Chris play a game of cat and mouse in Whitehall Mystery, a hidden movement game about Jack the Ripper from Fantasy Flight Games and Giochi Uniti. Chris and TC are joined by guest game designer Ben Pinchback to talk about gaming history and trends through the years!